I have already asked you once: Would you like to play good ole games like Warcraft, Wolfenstien, Doom 2, X-Wing, and others? Would you like to experience the 256-color beauty of 16-bit software? Sounds good, eh? Now, I ask it again. Would you? Well, I have already shown you how to accomplish that using VMware Player and FreeDOS, about which you can read in my DOS article. But there is a bit of problem with the solution presented. The article guides you through a number of steps, which you must successfully complete in order to enjoy the beauty of DOS environment again. Download & install VMware Player (or Server) on your computer. Download & install FreeDOS inside the VMware Player as a guest operating system. Configure FreeDOS to load all drivers properly and run as intended. Copy the desired applications (read: games) into the virtual environment and run them. Although any honest geek sees this as a pleasurable challenge, we should not forget that some people may still be fond of games from their childhood while lacking the micro-hacking skills needed to achieve the above. Well, there's an alternative, for geeks and noobs alike. Nevertheless, please note that FreeDOS and DOSBox are completely different programs. DOSBox is an emulator; FreeDOS is a complete operating system. Furthermore, although this article addresses the issue of DOS gaming in particular, DOSBox is an emulator that will also run applications other than games. DOSBox is the best thing I have heard in quite a while. It is a x86 emulator with DOS, plain and simple. It will allow you to run DOS applications .... ehm .... games, while offering solid graphic and sound compatibility. 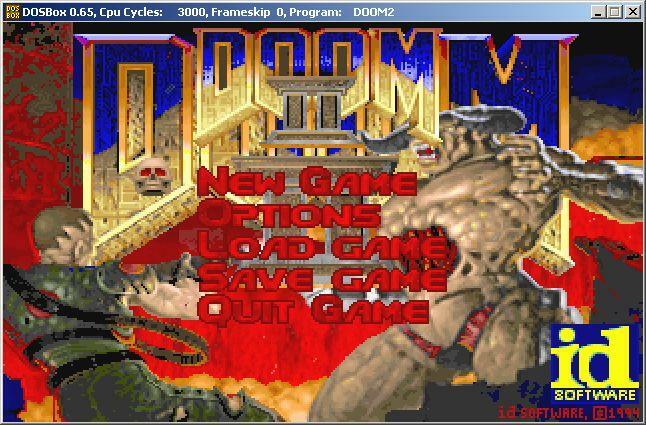 Download DOSBox; it is a free open-source program. Install it in a desired location, as you would install any other program. The only slightly complicated thing about DOSBox is the command line, but hell, if you cannot handle a bit of text, DOS is definitely not for you! DOSBox allows you to mount folders on your hard disks and your CD-ROMs as virtual drives. 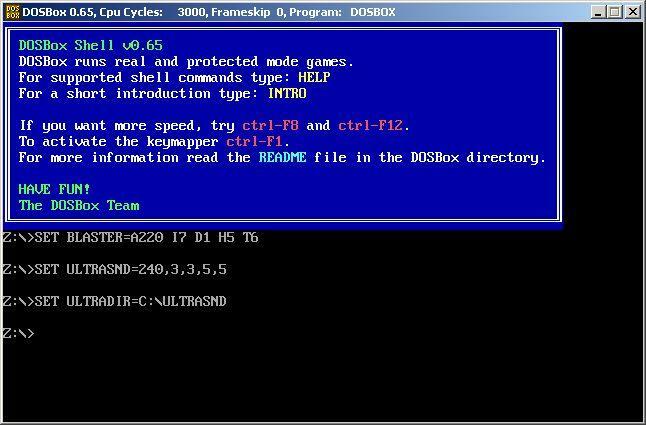 You can learn more about the relevant commands by typing INTRO or HELP at the command prompt, every time you start DOSBox. The welcome screen of the program will tell you this, so worry not. Create a drive on your hard disks that will contain old games - e.g. J:\OLD. Copy some of the old games that you have into that folder. Mount the folder contain the old games - e.g. mount c j:\old. This will create a virtual drive C inside DOSBox, which will contain the sub-folders with your games located at J:\OLD. All you need to do now is treat the virtual drive as a hard disk inside a DOS environment and run your games. Mount the CD-ROM (follow the INTRO for more details). Mount a folder that is needed to contain the parts of the games which need to be copied from CD onto the hard disk. Install the games from CD-ROM into the virtual folder (treated as a virtual drive). And so I went onto a shooting spree. 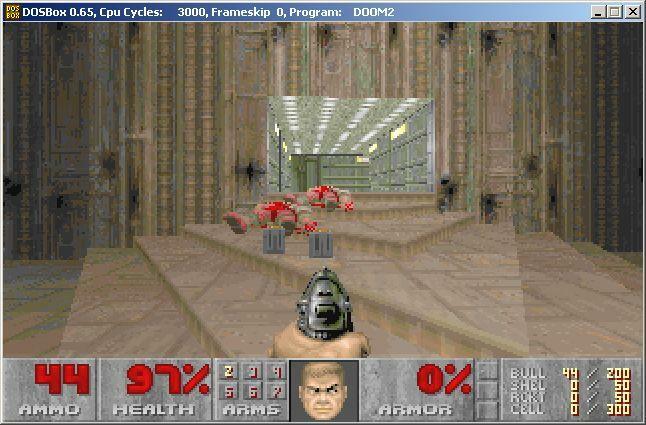 DOSBox is available for a variety of platforms, including Windows, Linux, Mac and others. This programs also comes with a number of front ends, intended to simplify the use of the software, and helps files in several languages. You can find the complete list of available tools at the download page. I will write a number of articles dedicated to some of my favorite DOS games in my Reviving old games section. If you have forgotten or never known who Duke Nukem or Leisure Suit Larry were, if your recollection of Little Big Adventure, Space Quest, Civilization 2, or Alone in the Dark are a bit rusty (or non-existent), this will be a good opportunity to refresh your memory. For youngsters out there, this is a splendid chance to see what your big brothers or fathers used to get all excited about. I will write each article with a little introduction about each game, as well as important installation and configuration details that might be needed. Till then ... Gotta go; gotta play some Doom.